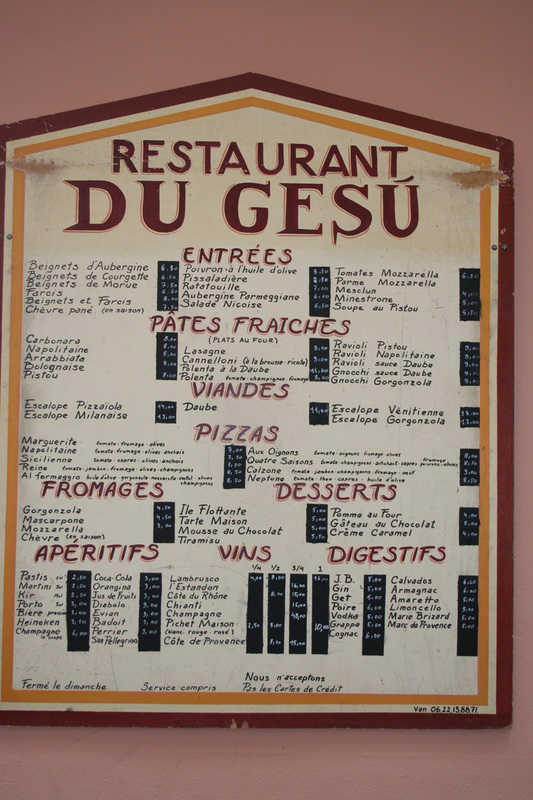 Although the culinary scene has been changing rapidly in Nice, providing more upscale restaurants, some of the best values still remain at those restaurants that have been in Nice for many years. 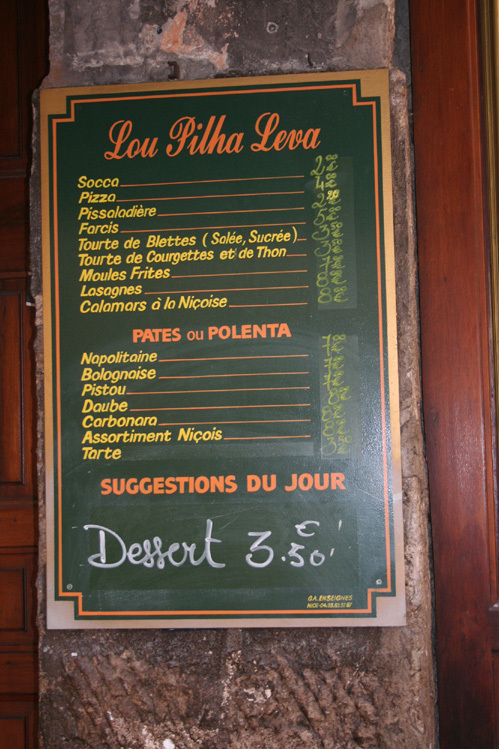 This restaurant located at the western end of the Cours Saleya is one of the busiest in Nice. The portions are large and service is very profession. 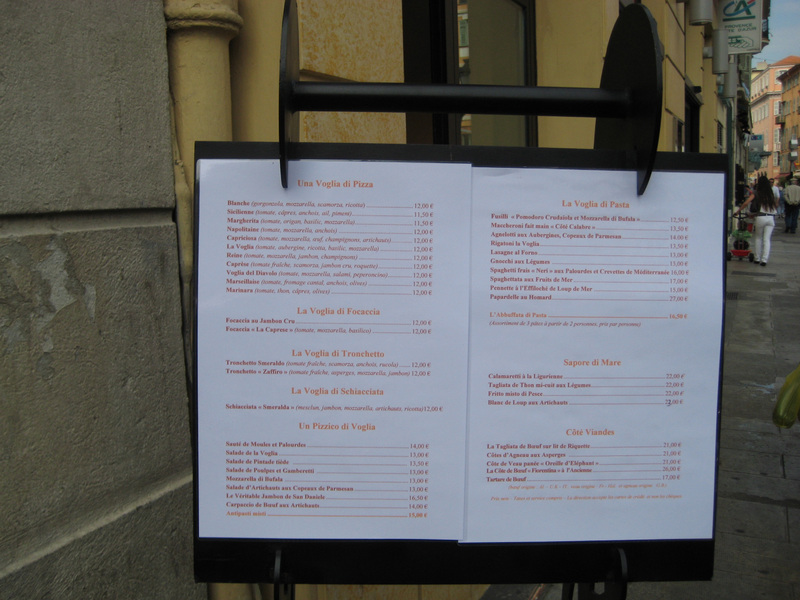 The menu consists of various pastas and pizzas. There are excellent value lunch specials. There are actually 3 excellent value restaurants in this area. Voglia, Di Piu and Favola. All are owned by the same group and have similar style of food. Di Piu is on the beach side and has a wonderful view of the water. Favola is diagnol to Voglia and serves excellent Plat du Jour. Because of the close proiximity you can check all 3 lunch specials and choose your preference. Voglia also has excellent Plat du Jours M-F for lunch. Located in Place Garibaldi for over 50 years this restaurant is one of the city's most authentic cafe-bars. Specialty: sea snails, clams, plump fines de claires, and salty bleues oysters, urchins. This is a very popular place so plan to get here early. 04-93-87-70-29 La Pizza and Taverne Massena are both owned and operated by Francis Cresci. Both establishments contain wood burning ovens and prepare among the best pizzas on the Riviera. Another La Pizza is located at the Port in Cannes. 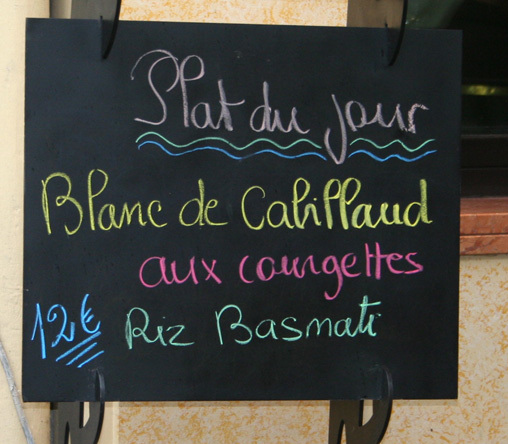 You will find some of the best Plat du Jour (M-F only) lunches here. We find their prix fixe three courses for 13 euros a real steal. Try the Petit Farcis Nicois, Brandade and choice of dessert. 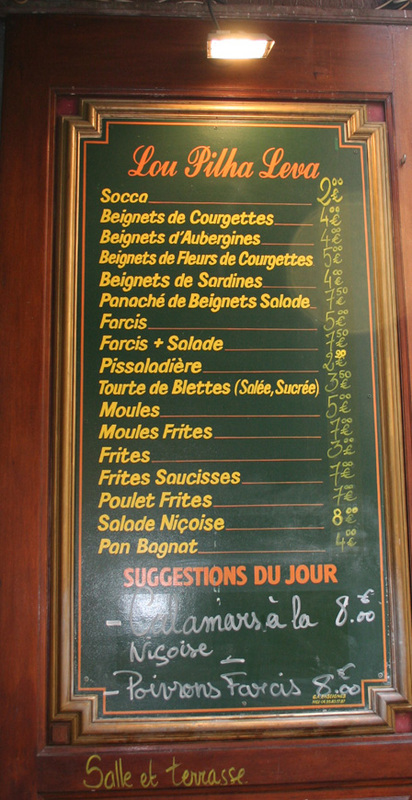 If they don't give you this menu indoors -- just ask for it. For over 50 years, this traditional auberge in Old Nice from its advantageous position nestled in the side streets, has served first class typical Niçoise cuisine. Although L'Escalinada is located on a street that would suggest a tourist restaurant, expect to see a mix of dedicated locals and tourists alike. 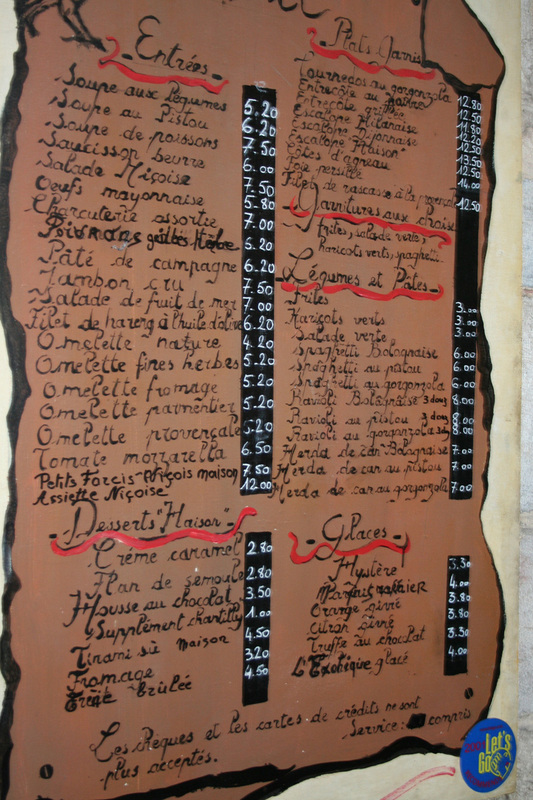 The menu contains many of the Nicoise specials done to perfection: swiss chard-filled gnocchi, tripes a la Nicoise, and pine-nut tourte de blette. If the main restaurant is filled just walk a few steps to the right for the annex. Vegetarian dishes are prepared daily. The menu changes every day according to available ingredients.